The pictures can be clicked to see bigger versions. HMS Furious' initial carrier configuration consisted of a foredeck for aircraft to depart the ship and subsequently ditch in the sea although trials were conducted on landing aircraft on that foredeck. Steaming into the wind the ship's Sopwith Pups could match Furious' speed and then sideslip to above the deck where they could be pulled downwards by hand using leather straps attached to the underside of the aircraft. 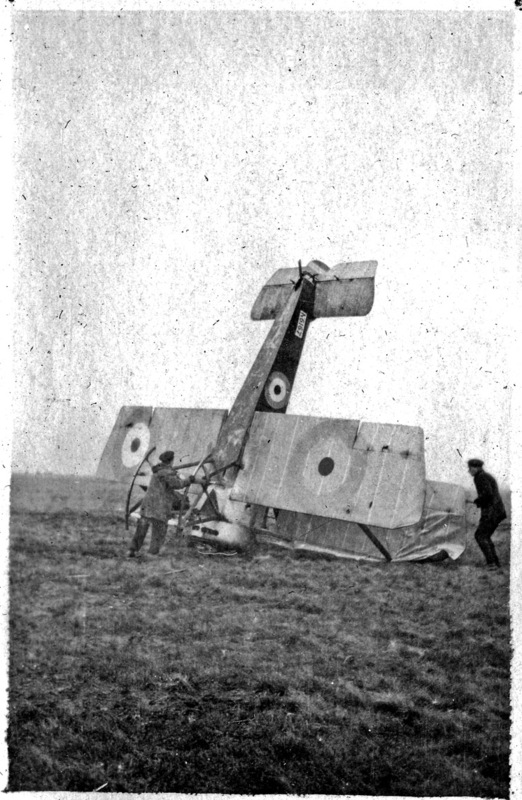 The first successful landing in this manner happened in August 1917. It was inherently dangerous to the extent that the first pilot to achieve it was killed in a later attempt when his aircraft went over the side. The concept of aircraft landing on ships had however been proven but research into better methods went ahead. The Admiralty concluded that a second flat deck aft of the superstructure could be fitted to Furious for aircraft to land in a more conventional fashion. 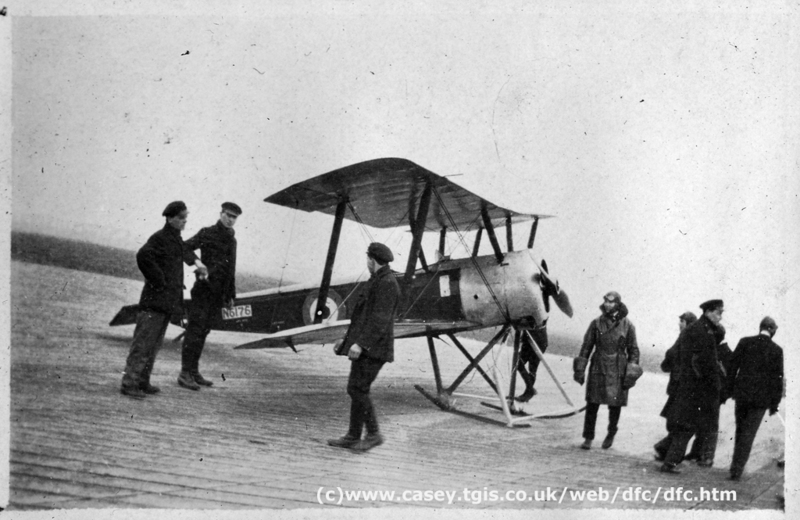 In order to test the concept, in 1917, a 200ft dummy deck was constructed on the airfield at RNAS Grain and initial landing trials took place with Pups and 1½ Strutters, some of them fitted with skid undercarriages. 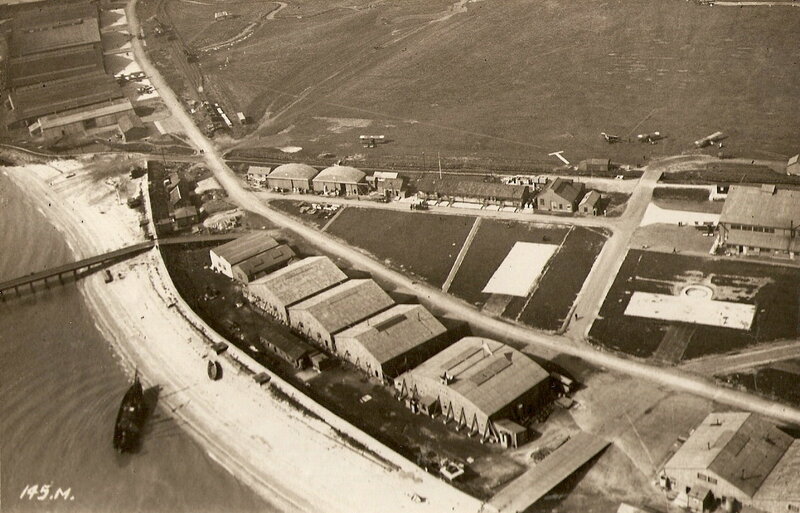 You can just see the dummy deck in this 1918 photograph of RNAS Isle of Grain and Port Victoria if you click it (extreme top right corner, barely visible!). This is the only overhead shot I have seen of this area of the airfield, I have written to the website on which I saw it asking if they own the picture but I have not had a reply so I am assuming it is copyright free, if not please let me know! I have now received a DVD from the Imperial War Museum of these early trials at Grain in 1917 and 1918. It's approximately 6 minutes long and the full details of it, which can be ordered from the IWM, can be found at this link. The film is indexed as IWM631. For licencing reasons I can't put the video on here so below are just three screen grabs showing the frames to which the first arrestor ropes were attached. 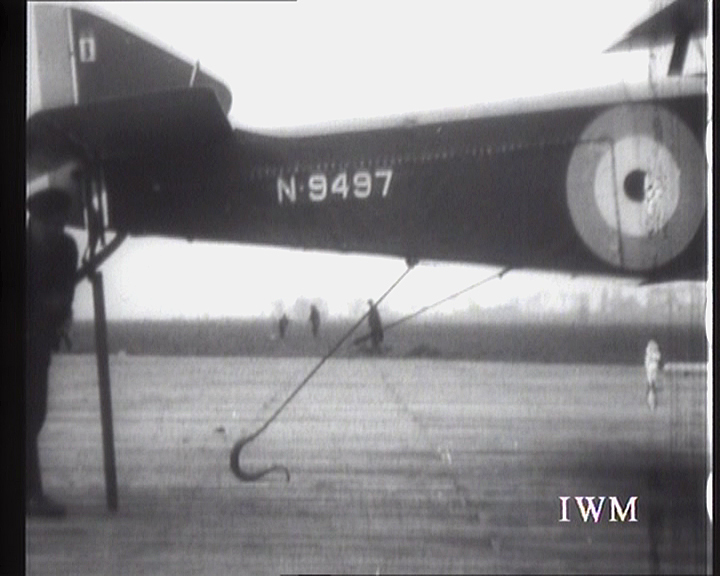 There is also one shot of the hook to catch the ropes on one of the Sopwith Pups used for testing. As you can see, in the early trials arrestor cables were hooked to wooden frames on either side of the deck but these were later replaced by more substantial anchorages once they'd determined optimum height and proved it a viable concept. The decking was also used to test take-offs and landings of skid equipped aircraft sitting in runners for the take-off. These tests are also featured in the film. Above is also an example of how the RNAS would occasionally make errors in their aircraft numbering. The Sopwith Pup originally numbered 9497 was painted with the number N9497 but the N94** series wasn't actually allocated until after the war ended. 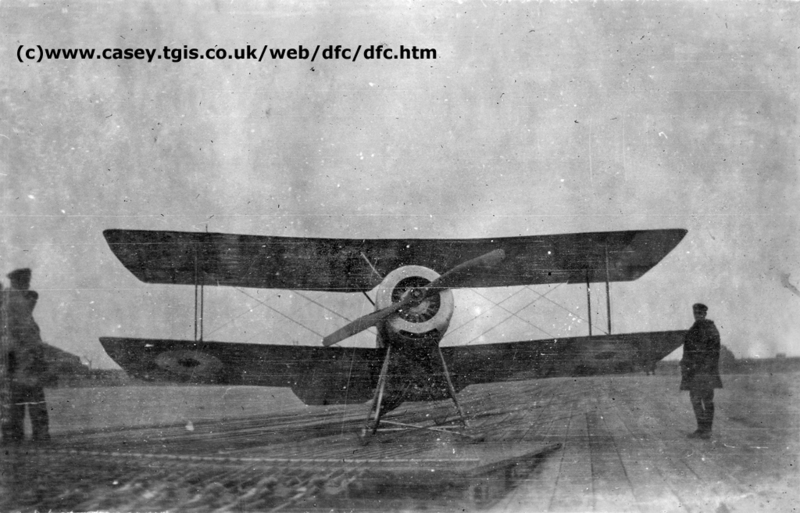 This aircraft was used for the trials throughout 1917 and into 1918 predominantly flown by Sqn. Cdr. Cave-Brown-Cave, FL CT Freeman and Sqn. Cdr. (later Wing Cdr.) HR Busteed. In January 1918 the Officer Commanding Aircraft on HMS Furious, Flight Commander W.G. 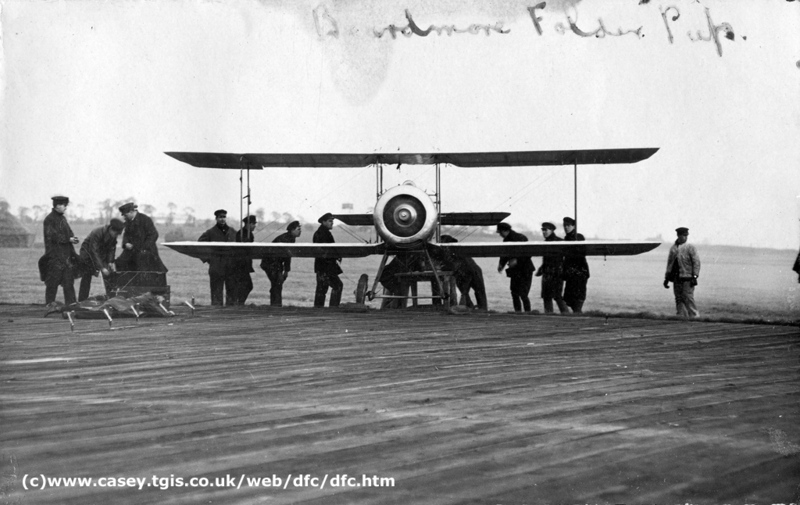 Moore, was despatched to Grain in order to assist with both these trials and the subsequent pilot training. On the 2nd February, 1918, Wing. Cdr. Busteed (then the OC at Grain) wrote to the Director of Air Services that the 1½ Strutter trials had been "entirely satisfactory both in getting off and landing on the aerodrome" and requested that the remainder of Furious' pilots be sent to Grain for training. The Admiralty agreed and so my Great Uncle found himself at Grain in February 1918 (more pilots from Furious arrived there in March). 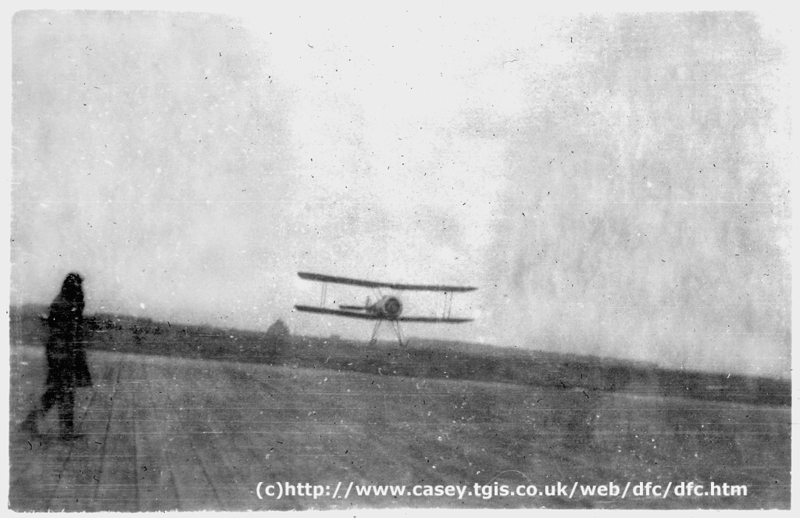 The pictures below were taken during this period prior to returning to the newly modified Furious in April 1918. This is a Beardmore Folder Pup (originally the WB.III but officially designated the S.B.3D in service) on the mockup of the aft landing deck of HMS Furious. To the left you can see the later, more solid, mountings for the arrestor wires which stretched across the deck to catch the aircraft's undercarriage and help bring it to a halt with the wires attached to sand bags. 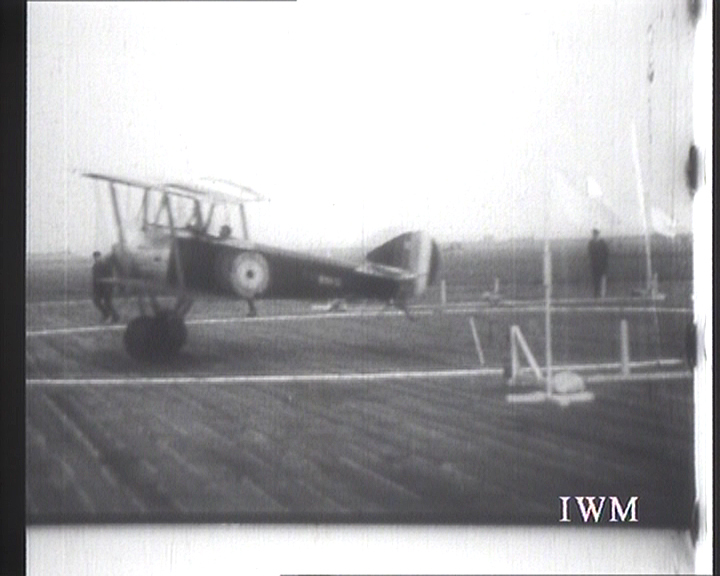 This system initially presented problems because the aircraft on being caught would violently yaw sideways which would obviously risk her going overboard (this sudden yaw is also seen in the IWM film). 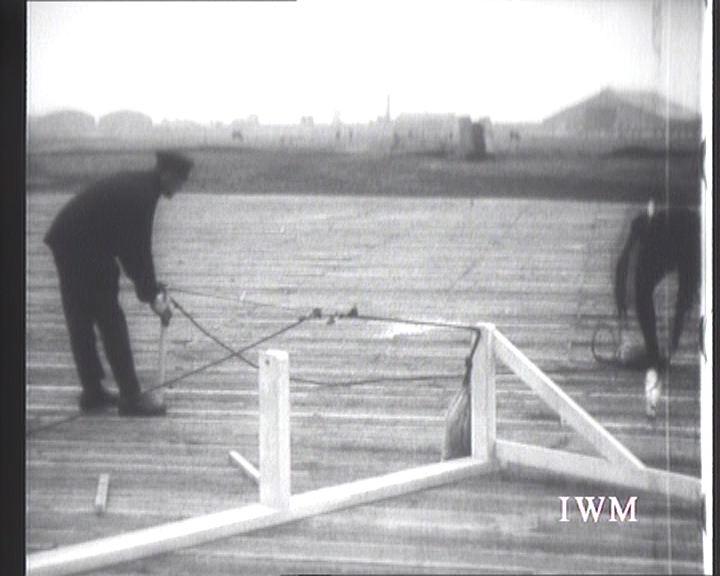 An additional set of wires were then tested which ran longitudinally along the deck thus creating a grid which would trap the aircraft in both directions. Another shot of a Pup (N6176) on the trial deck. This one features the 'Skid' undercarriage which was designed to provide increase stability on deck plus adding some retarding effect of it's own. This proved relatively successful in the tests and was adopted for the later sea trials. The skids were very fragile (as you can see here where the right hand skid is damaged) and many were broken on landing however good the final approach. The skids weren't too popular with the pilots either because they weren't sprung and therefore resulted in very hard landings. 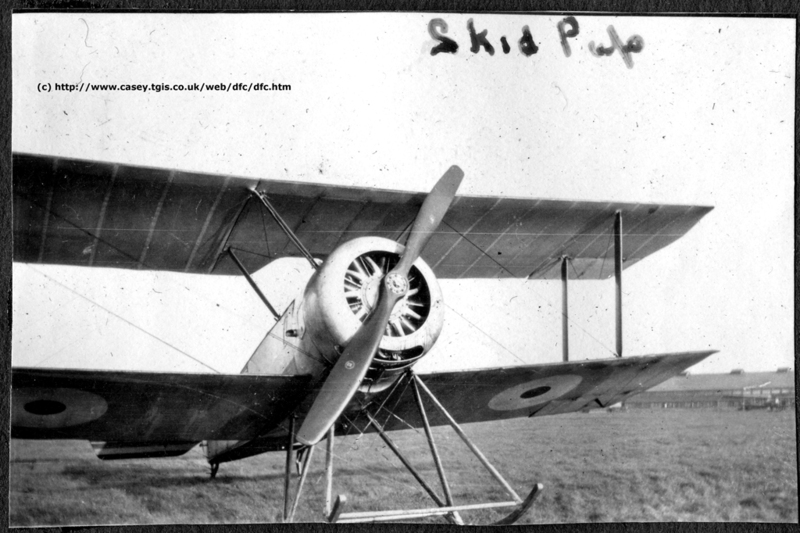 In this shot of the front of a Skid Pup you can clearly see (if you click it and look at the larger version!) the mountings of the longitudinal wires plus some details of the skid undercarriage itself. The wire grid system did prove more successful than having just the horizontally placed wires and further development took place. This blurry picture shows a Skid Pup just approaching the dummy decking for landing. You can see from this how shallow an approach angle was required which, with a pitching and rolling deck, looked potentially very risky. They did however persevere and in March 1918 Furious emerged from the dock in Newcastle with the new landing deck and wire grid system fitted. A close-up of the Skid Pup showing considerable detail of the skid undercarriage including, to the rear of the skids, the hook that was added to catch the arrestor wires on the decking. A final picture which illustrates another of the risks of the Skid Pup configuration. In this one the same aircraft as pictured above, N6176, has landed on the grass and found the skids digging into the soft ground thus flipping the aircraft. A further problem was identified once aboard ship, one that that could not have been tested at the Isle of Grain airfield, and would lead to landings on the aft deck being abandoned. Unless the ship steamed very slowly, or indeed was stationary, the airflow over the deck was so turbulent that it made successful landings almost impossible. In essence the wind over the deck needed to be less than about 10 miles per hour otherwise turbulence was caused by the close proximity of the ship's superstructure to the front of the landing deck. As a result the landing system itself (the grid of wires) could not be properly tested with the superstructure in place and so trials on Furious were abandoned and aft-deck landing on her was never used operationally. In addition at slow speed or stationary and with little airflow over the deck it also created a risk that the aircraft would actually land too fast and thus be dangerous anyway. Only 13 landings took place just 3 of which were considered to be real successes with all the other aircraft suffering considerable damage or going over the side. The superstructure problem on Furious led to the development of HMS Argus with a full length flat deck with the previously tested wire system. Trials on board Argus commenced in September 1918 and were successful enough for HMS Hermes & HMS Eagle to be constructed with the same full length deck. HMS Furious was subsequently redesigned again to have the same deck and went on to serve into WWII. N.B. In 1925 the arrestor gear idea on Furious was abandoned completely since the deck was long enough for it not to be needed for such slow aircraft and the problems of disentangling each landing aircraft had also meant that only very slow landing rates could be achieved.